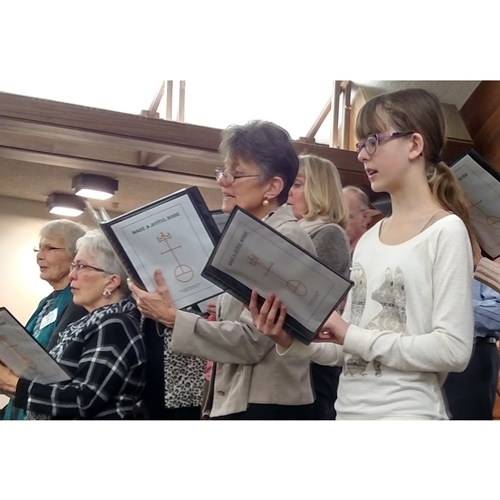 Worship at the Community Church brings together all ages. Each service begins with the youngest children ringing the church bell. 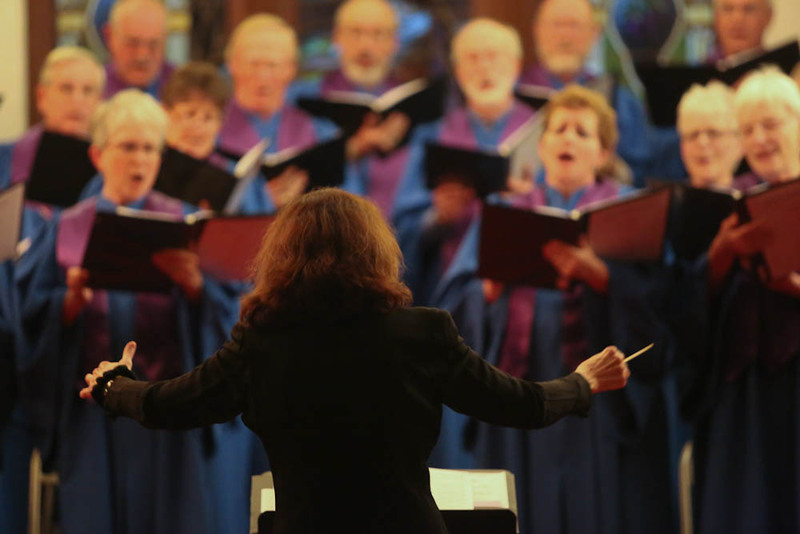 Together with song, prayer, and sacred story, we seek God's blessing and an understanding of our continuing role as members of Christ's community. Sunday services begin at 10:00am with coffee (or other beverages) and conversation following in the church basement. A handicapped accessible elevator ensures that all are welcome. We are located near the corner of South Broadway Avenue and 14th Street East, just south of the Irish Rose B&B. Feel free to use the curb side parking along Broadway Avenue. There is also parking behind the church building accessible through the alleyway. Parking spots marked "Handicapped" are set aside for anyone with mobility issues. Parking is also available along many of the side streets near the church building. There is a ramp to the front of the church for both pedestrian and wheelchair access. Visitors entering from the parking lot are invited to use our elevator located just inside the church on the right-hand side. Following the Children’s Time in Worship, the youth will be invited to share in a period of enrichment (Youth Sunday School). Youth meet downstairs in the big classroom and visiting children always welcome. Parents may reunite with their children in the Fellowship Hall following worship. Please note that children are always welcome to stay throughout our worship services. Adult Sunday School meets each week in the "Upper Room" located behind the sanctuary before worship at 9:00am. Standing by the doors to the Sanctuary, you’ll find greeters saying hello. They are ready also to direct you to other parts of the building or to answer any questions you may have. The greeters will offer you a program which will guide you through the service. The insert usually lists upcoming events and announcements. If you have small children, there are activity sheets, age appropriate for them as well. Bulletins are also available in a Large Print format. Ushers will assist you in finding a place to sit in the sanctuary. If you have infants and toddlers, our restrooms are equipped with a baby changing station in the handicapped accessible stall. While our nursery room is not staffed during worship services, you will find the nursery on the lower level at the south end of the hallway. Please speak with a greeter who will be happy to direct you to the nursery. Please note that children are always welcome in our worship services. After the announcements, all children are invited to share in the ringing of the church bell. After the reading of the first Scripture is "Children's Time." The children are again invited up to hear a brief message or to share in an activity specially crafted for them. Feel free to sit anywhere you like. You’ll find reading material, Bibles and hymnals located in the pew racks in front of you. Red Lodge Community Church encourages everyone to wear a name tag so that we may all greet one another by name. Visitors are invited to fill out a "Glad You Are Here" card. Please spend a moment to fill in all of the information. We will not come knocking on your door, unless you personally request us to do so. We would like to send you a newsletter, either by mail or if you furnish us with your email address, it will be emailed you. You may also request a staff member to call you, just to say hello and ask if we can answer any questions. At the close of worship we all stand, and sing a refrain together which is printed in your bulletin. Check the announcement page in the bulletin for location of meetings/groups/classes and their topics happening throughout the week. Red Lodge Community Church (UCC) usually celebrates Communion on the first Sunday of the month. If you are attending church on a Sunday or a special service, when Communion will be served, please feel free to participate. Everyone is welcome. After services, the church Fellowship Hall on the lower level is abuzz with fellowship and activity. Coffee, tea, and water are available, as well as something tasty to nibble on as friendly conversation takes priority. Inside the church narthex (lobby) you will find our literature racks. Please pick up any literature that interests you. Additional information is posted on our bulletin boards. We hope that after your visit to the Red Lodge Community Church (UCC), you’ll feel welcome to return soon. The Red Lodge Community Church Choir is an active community in its own right with music as its focus. Under the direction of Marty Clague, our choir has been exploring new music while retaining all the fun that comes with belonging. 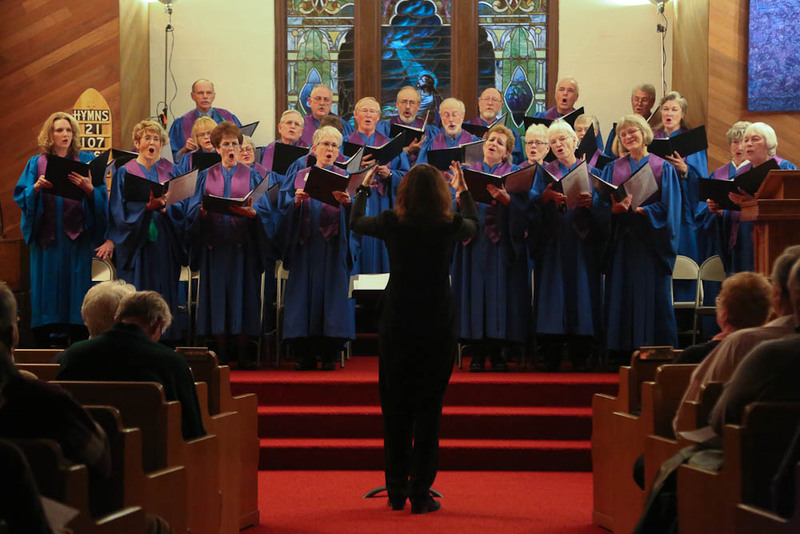 Our choir is active from September through May each year with special music and ensembles filling in during the Summer months. If you enjoy fun, music, and improving yourself, consider this your invitation to join with us.